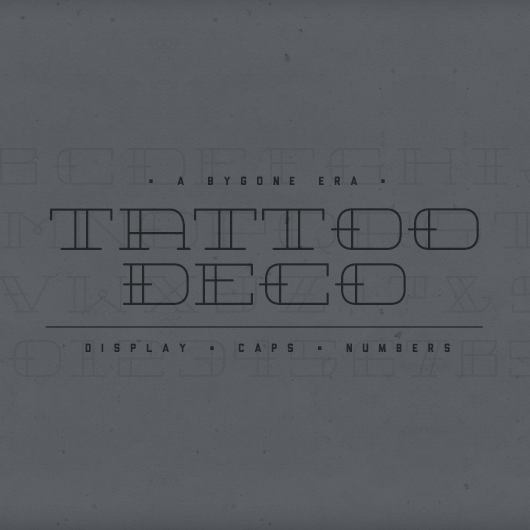 This display font is a mash-up of tattoo style and art deco construction—making it perfect for headlines, logos, icons, and anything that needs an unexpected feeling of restrained style. Includes one weight, all caps, numerals, and limited punctuation. 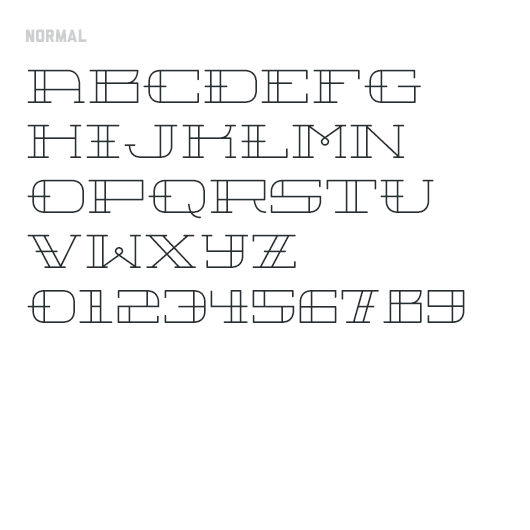 Download includes both Windows TrueType and OpenType formats (.ttf/.otf). Images belong to Alex Schneider.